Well the cold weather has arrived with a vengeance around these parts. Inside, the fire is toasty warm so we keep it going all day and all night. Outside though, it is definitely heading into Winter. We’ve had such a long, mild Autumn that I had quite forgotten just how cold it can be. In the garden, the long Autumn gave the tomatoes and other Summer crops an extended season, but those plants are now all frost bitten and are just waiting for CB to have time to pull them out. In their place, the early Winter crops are starting to be ready to pick. Beetroot is always a favourite around here, and they are getting big. 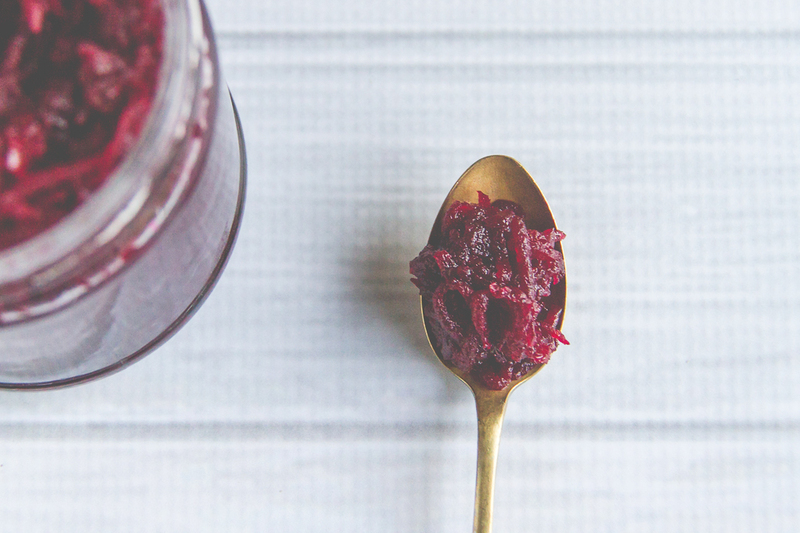 Time to pull out the recipe books and make some beetroot treats. 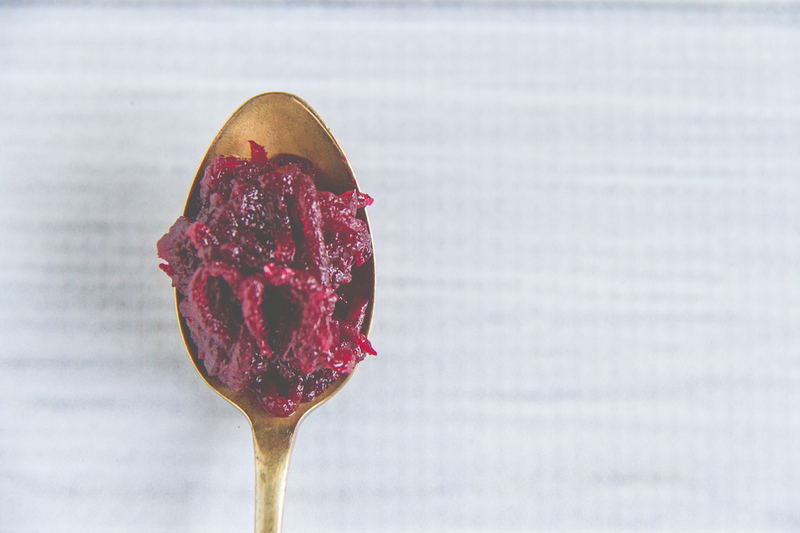 First up; beetroot relish. 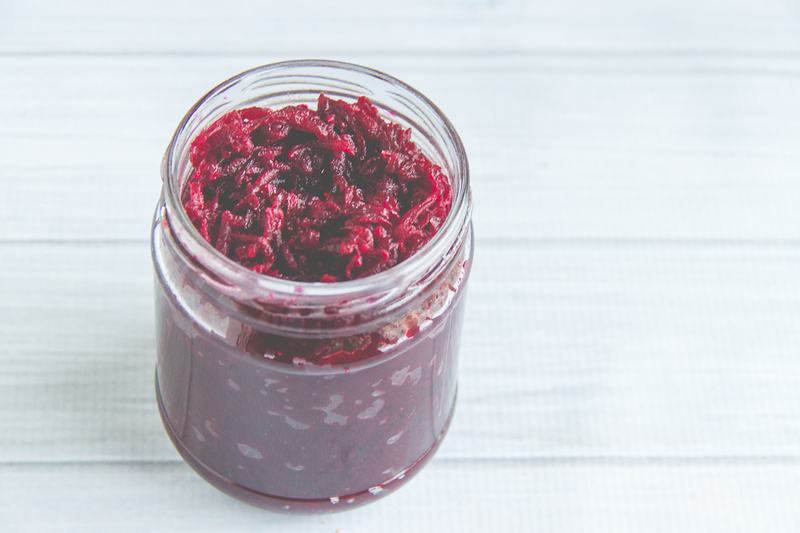 This beetroot relish recipe is based on a relish that I had on the most delicious hamburger when I was visiting the coast recently. I examined it carefully so that I could replicate it at home. Good thing it was actually quite easy to put together. Beetroot is a rather messy vegetables. If you’re not careful your hands can end up a fetching shade of purple. I use a knife to peel them, which makes it easier to keep your hands their natural colour. If you’re worried about purple hands (it will wash off after a few washes), wear a pair of disposable gloves. Using a food processor also makes it easier to grate if you have one. Peel and grate the beetroot. I used a food processor to grate it. In a large shallow pan, heat the oil. Sweat the onion gently for 5 minutes until clear. Stir in the grated beetroot and cook for a few minutes. Add in the cider vinegar and sugar. Stir and cook for about 30 minutes or until the liquid has largely evaporated and mixture thickens slightly. Spoon the hot relish into sterilised jars. This quantity filled 3 jars. Pop a spoon full of relish on a sandwich or hamburger, or even serve with roast beef or lamb. It’s beautiful either way. We had some with our dinner on Sunday night. It was delicious! 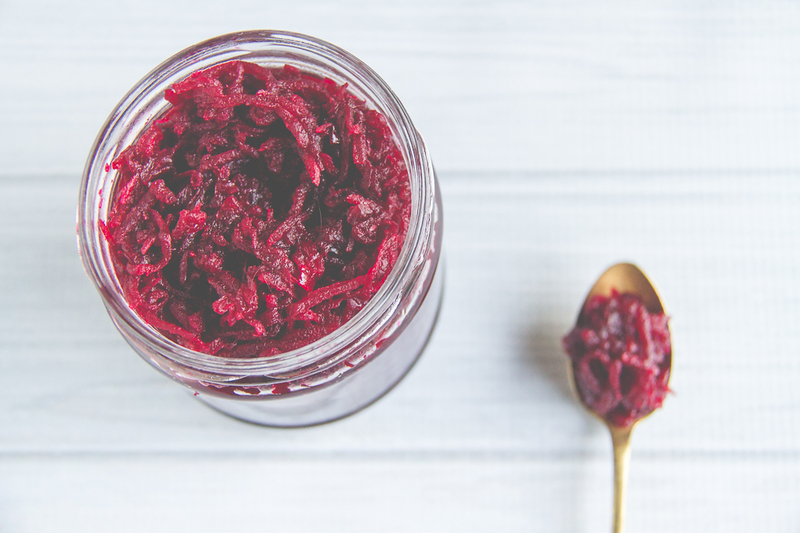 If you’re not sure how to sterilise jars for jams and relishes, check out this post which is full of info. Has it turned cold where you are? Do you love beetroot?